This is first I believe. 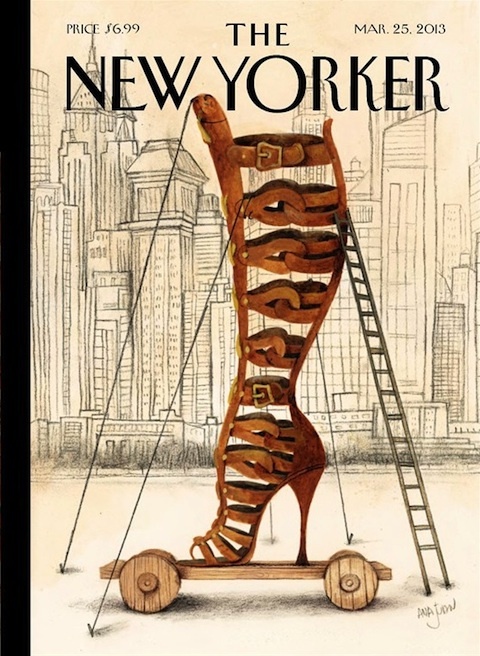 A shoe on the cover of The New Yorker. And not just any shoe. But the mighty gladiator high-heel sandals from ALTUZARRA.